This is a perfect teacher outfit to me. 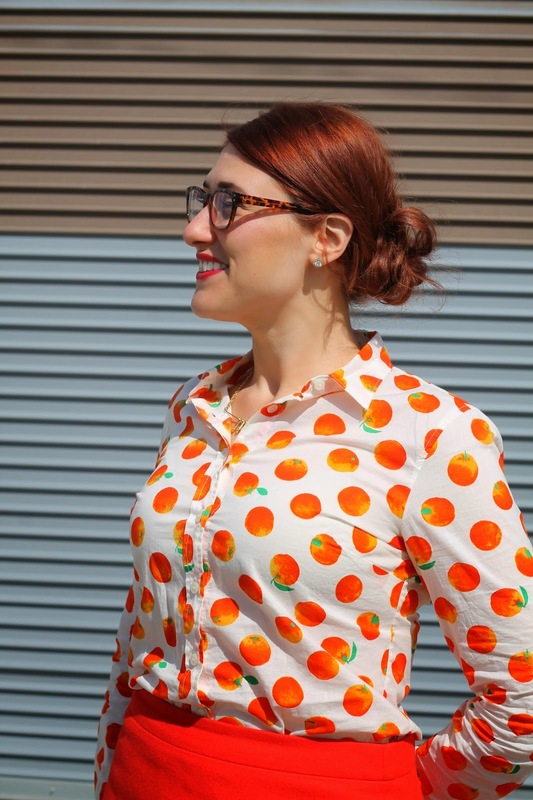 Bright colors, pencil skirt, button-down in a fun print and glasses. The oxfords kept the look interesting and much more comfortable than heels, too! so cute and so fun - I love the orange print blouse!